In our previous post we discussed the rather ambiguous importance of choosing an undergraduate major. Yes, some studies have shown that certain majors return better results on the LSAT but the differences are not overwhelming. If you prepare correctly, your chances of achieving a score above 160 will be high regardless of the major you pursue. In short, we recommend you enroll in a major in which you will be passionate about pursuing, while staying focused on the bigger picture – preparing for law school. GPA is an important factor in admittance to law school. In fact, many law schools have minimum GPA requirements. Now, there are always extenuating circumstances, and students with a GPA lower than the “required” minimum have been accepted before, but that is rare. 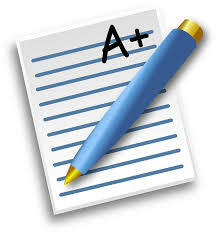 It is much easier to maintain a good GPA than it is to try and boost your GPA in your final few semesters. Contributing extra time to studying early in your college career is an investment which will pay big dividends in the long run. Make it a goal to end your undergraduate career with a GPA of 3.7 or higher! Law schools love to accept students who appear to be dynamic, energetic, and passionate. The best way to show them that these traits describe you exactly is to be actively involved in a diverse selection of extracurricular activities. Find clubs and organizations in which you want to be involved in and enroll. Go the extra mile and secure leadership positions within these organizations. Displaying leadership qualities is another excellent way to stand out on a law school application. Be careful not to spread yourself too thin. Between class, clubs, and studying for the LSAT, you will have a lot going on. You don’t want to let something important fall through the cracks.